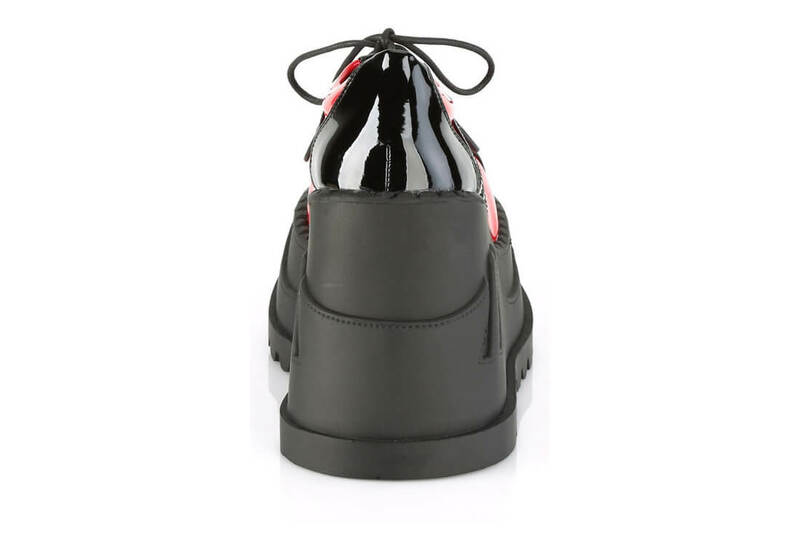 The Stomp-08 is a patent vegan leather platform shoe in black and red. The 3 3/4 inch platform wedge is molded with cut-out stripes to match the upper. The front laces up and has 5 red eyelets. Definitely a cool looking pair of shoes.